A moving and uplifting service at St Teresa’s Church last night. Over 200 Heaton residents came to remember the 34 boys and 41 men who died in the Heaton Main Colliery Disaster of 3rd May 1815. The Backworth Colliery Band played beautifully; seven church leaders from Heaton and St Peter’s Wallsend (where 55 of the men are buried) received snow drops from Tessa Green, to remember the dead; Tony Neilson read ‘The Last Shift’; Les Turnbull explained the history; Johnny Handle sang his new song ‘Under the Fields of Heaton; Father Michael preached on the subject of suffering, 75 of the congregation processed candles to ‘Gresford’ the ‘Miners’ Hymn’; St Teresa’s Primary’s children danced with commitment and pride; and Heaton Voices led the whole congregation with their song ‘Let there be diamonds in the dark’. Many thanks to St Teresa’s for their generous hosting and hospitality. 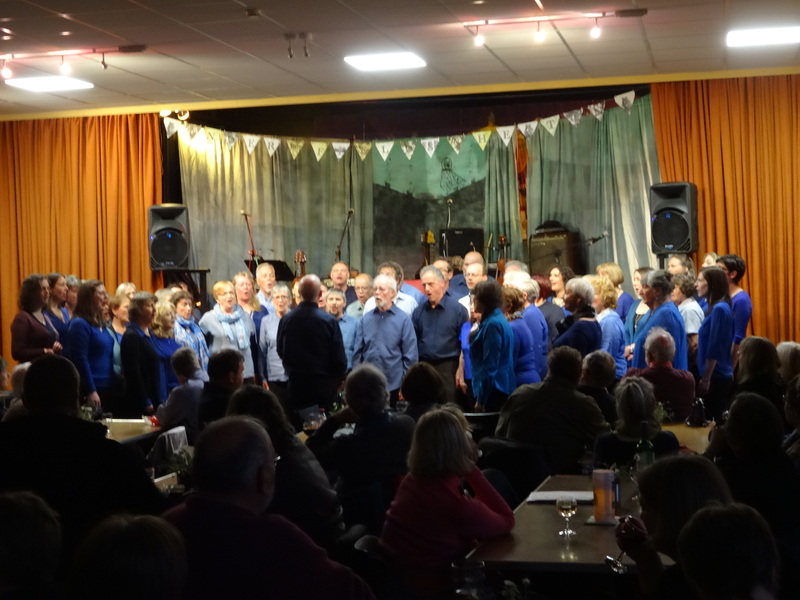 200 people turned out to see a stunning musical programme on the Anniversary Eve. Heaton Voices on fine form singing a set including ‘Byker Hill’, ‘The Colliers’ Rant’, and ‘Let There be Diamonds’; Johnny Handle charmed the audience with tales from his own colliery experience, poems and songs climaxing with an emotive delivery of his new song ‘Under the Fields of Heaton’; and Richard Scott led ‘Appletwig Songbook’ on their first gig with the new line up and sounding so tight that they might be on the last night of a major tour. Richard’s self penned songs, including ‘Monday Morning’, ‘They All Went Down Together’, and ‘When Coal Was King’ featured amongst material from Tommy Armstrong, Alex Glasgow and Ed Pickford. Come to the Spinney, Newton Place NE7 today, 2nd May, between 2pm and 4.30pm for an open afternoon with Cragside Choir, North East Socialist Singers, Coast Road, Les Turnbull, snow drop planting, displays, fire engine etc. Sat 2nd May 7.30pm Anniversary Eve Concert. 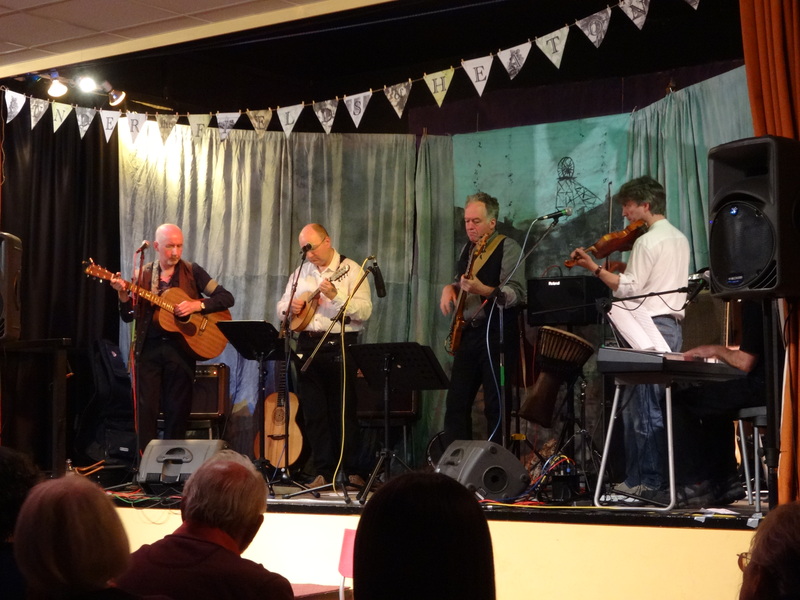 Richard Scott presents Johnny Handle, Heaton Voices and Appletwig Songbook in St Teresa’s Church Hall, Heaton Road, Newcastle NE6. Bar Tickets £6 and £3 conc. Sunday 3rd May, Sunday 8.45am Radio Newcastle report about the Anniversary . Sunday 3rd Anniversary Ecumenical Church Service 6pm in St Teresa’s Church, Heaton. Backworth Colliery Band, Johnny Handle and Heaton Voices hosted by Heaton Churches Together. ‘Ee I cud Hew’: Appletwig Songbook. Under the Fields of Heaton song of the month. 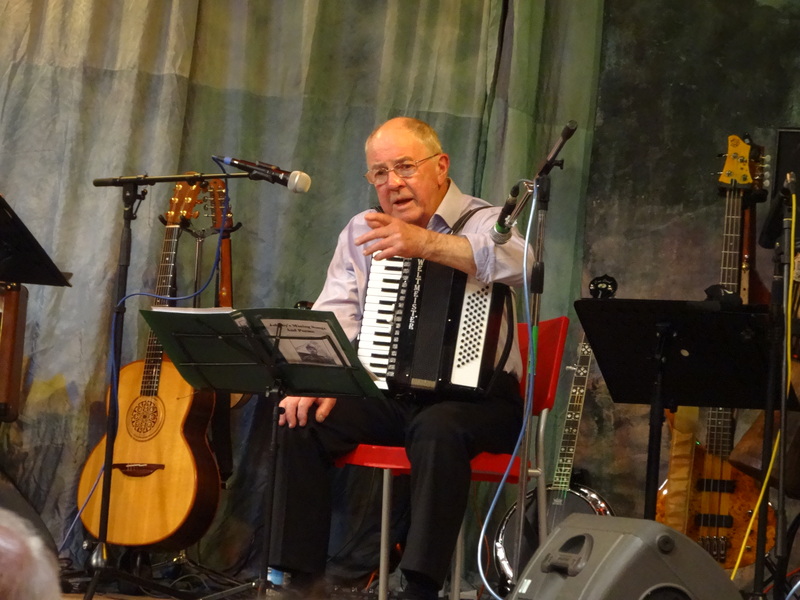 Richard Scott’s band Appletwig Songbook is hosting the 200th anniversary concert on 2nd May 2015 in St Teresa’s Hall, Heaton Road. A fine line-up with turns from Johnny Handle and Heaton Voices as well as AS. All singing mining material, including brand new material from Johnny and Richard. The Appletwig Songbook http://www.offbeat.idps.co.uk/appletwig-songbook/ features a new line up with Martin Hoile, ace keyboardist and vocalist adding to the team. (Richard Scott, Graham Raine, Eddie Nickson and Steve Coates). Tickets £6 and £3 available soon. We invite you to plant some snowdrop bulbs (in the green) in a special place in Heaton / the Ouseburn Valley on or before the 3rd of May 2015. Tell us where they’re planted and we’ll put the site on our map. We hope for 75 sites in our area! The snow drops will help us remember the end of the miners’ entrapment and burial in St. Peter’s Churchyard, Wallsend.